Quotations about American People. Quotes to stimulate mind and drive action! Use the words and quote images to feed your brain inspiring things daily! 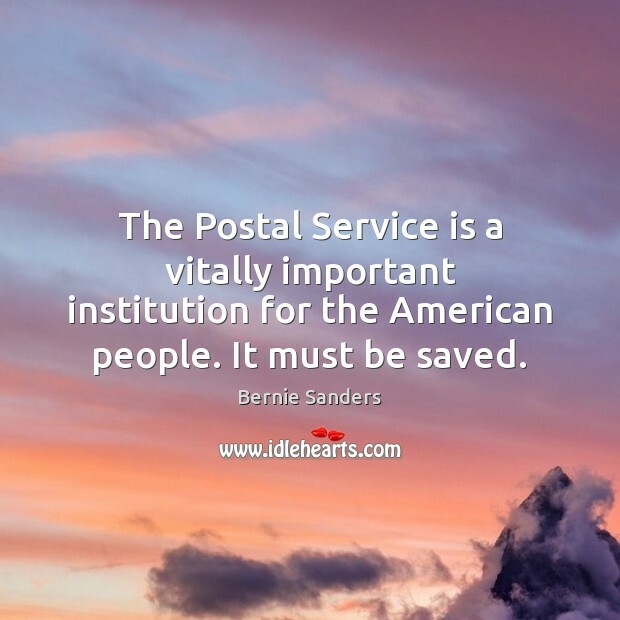 The Postal Service is a vitally important institution for the American people. It must be saved. Democrats can neither control nor predict whether our GOP counterparts are really ready to play chicken with the U.S. economy. 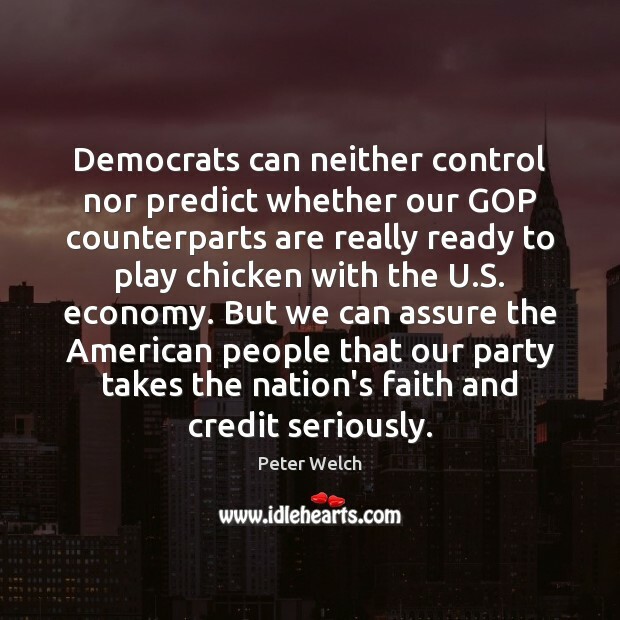 But we can assure the American people that our party takes the nation's faith and credit seriously. 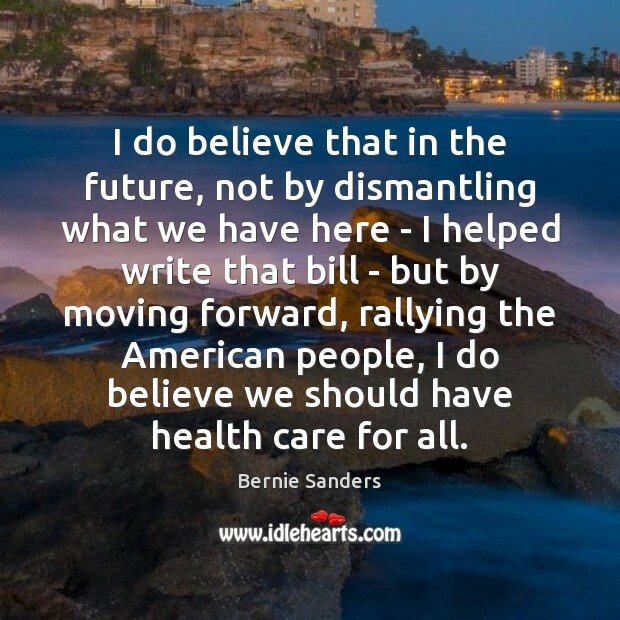 I do believe that in the future, not by dismantling what we have here - I helped write that bill - but by moving forward, rallying the American people, I do believe we should have health care for all. And that means that no matter how we reform health care, we will keep this promise to the American people: If you like your doctor, you will be able to keep your doctor, period. 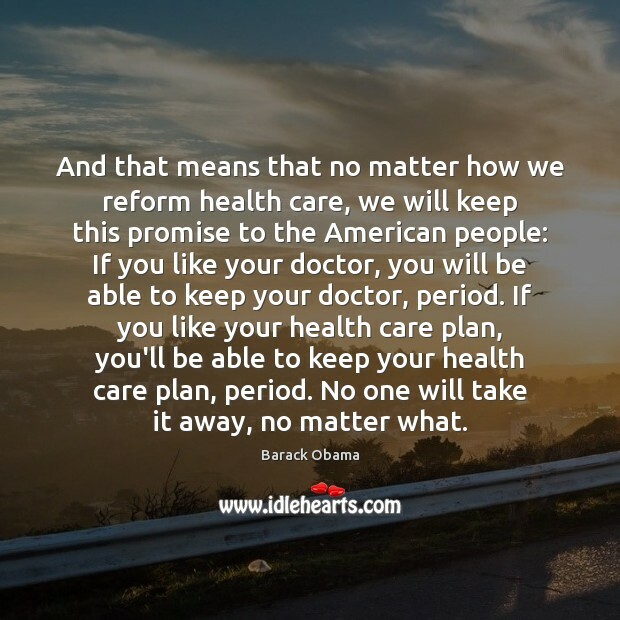 If you like your health care plan, you'll be able to keep your health care plan, period. No one will take it away, no matter what. John Boehner has to start taking a macro step towards the American people, away from the more radical elements of his party. You know, it's almost a form of anarchy. We have a law that was passed by Congress. We have a law that the Supreme Court said was legal. It's been implemented. And I'm sorry they don't like it. There's been a lot of laws in the past the Democrats didn't like. But that's what this country is about. 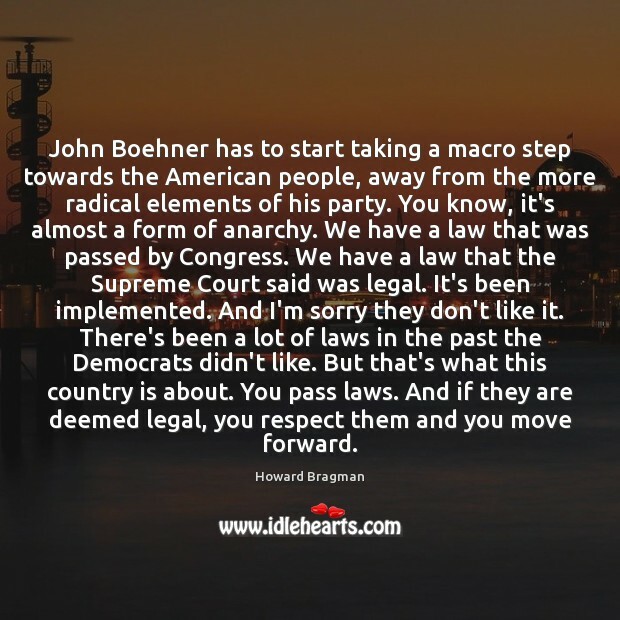 You pass laws. And if they are deemed legal, you respect them and you move forward. Let's just do what is right for the American people. 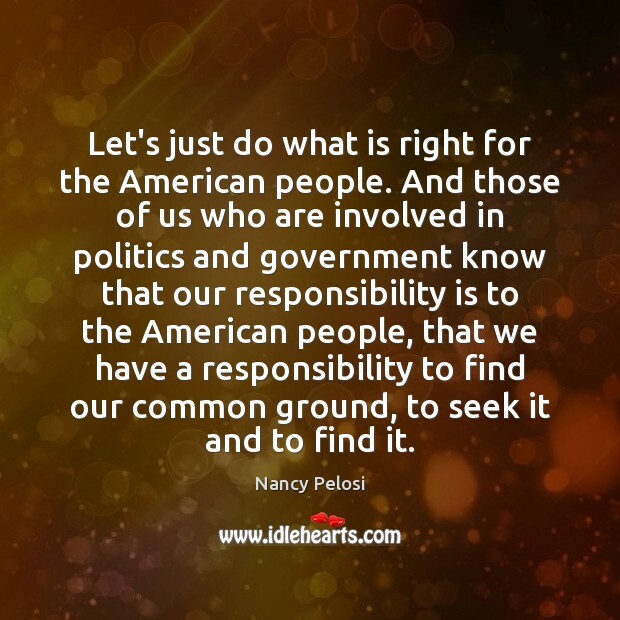 And those of us who are involved in politics and government know that our responsibility is to the American people, that we have a responsibility to find our common ground, to seek it and to find it. I think actually the American people are pretty realistic. 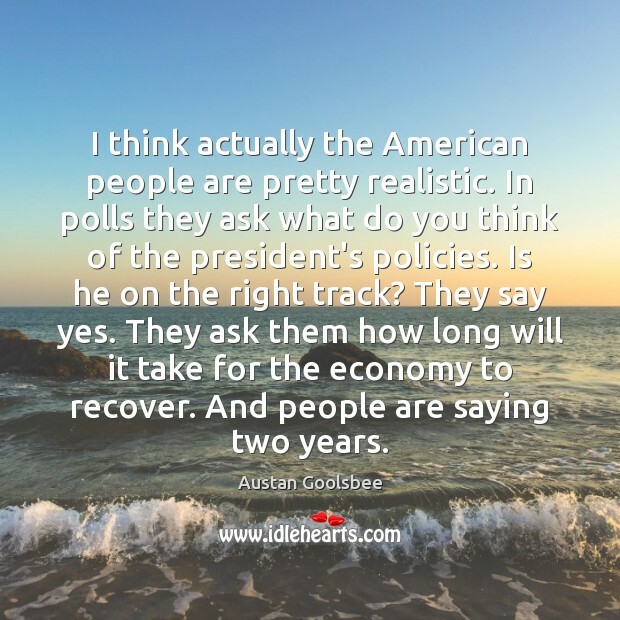 In polls they ask what do you think of the president's policies. Is he on the right track? They say yes. They ask them how long will it take for the economy to recover. And people are saying two years. 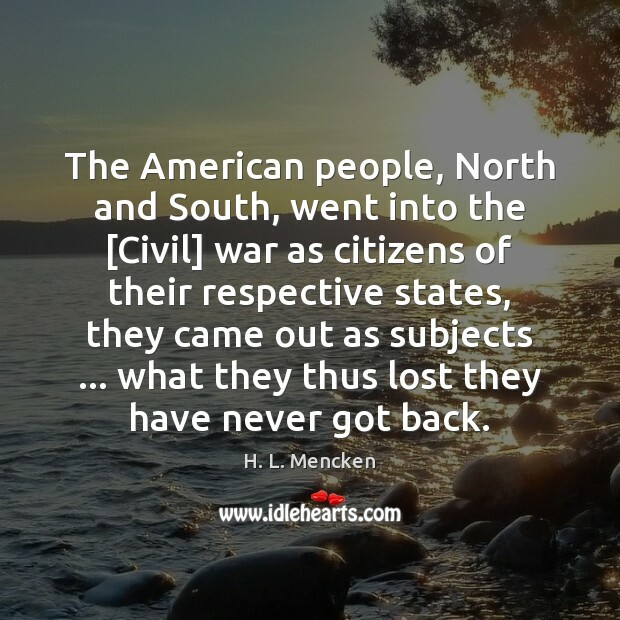 The American people, North and South, went into the [Civil] war as citizens of their respective states, they came out as subjects ... what they thus lost they have never got back. In the year 2000, the solar water heater behind me, which is being dedicated today, will still be here supplying cheap, efficient energy. 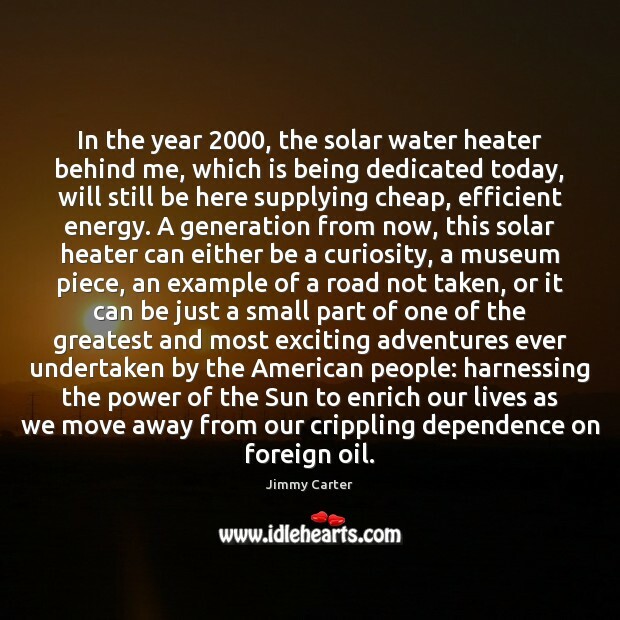 A generation from now, this solar heater can either be a curiosity, a museum piece, an example of a road not taken, or it can be just a small part of one of the greatest and most exciting adventures ever undertaken by the American people: harnessing the power of the Sun to enrich our lives as we move away from our crippling dependence on foreign oil. 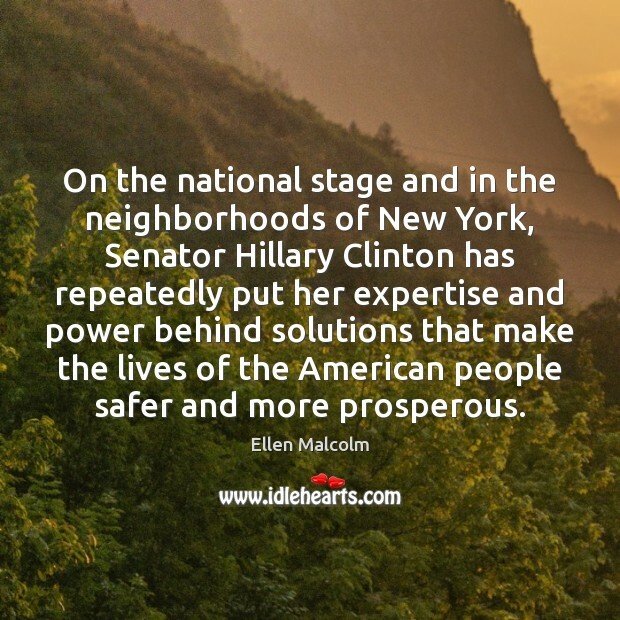 On the national stage and in the neighborhoods of New York, Senator Hillary Clinton has repeatedly put her expertise and power behind solutions that make the lives of the American people safer and more prosperous. 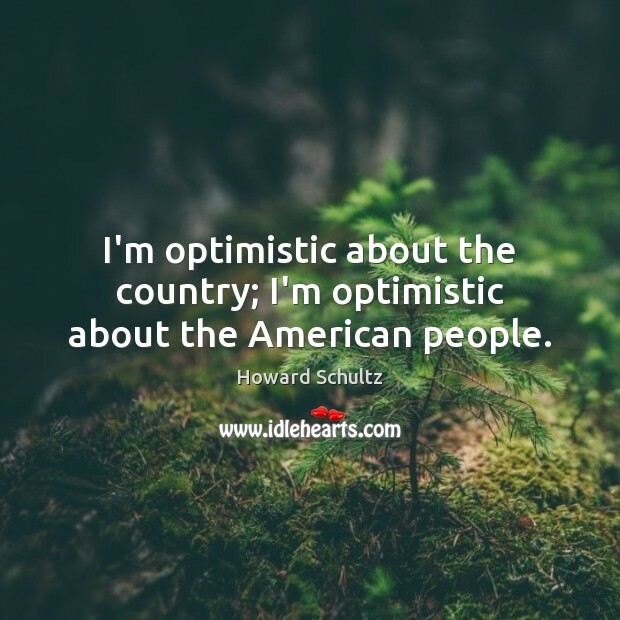 I'm optimistic about the country; I'm optimistic about the American people. 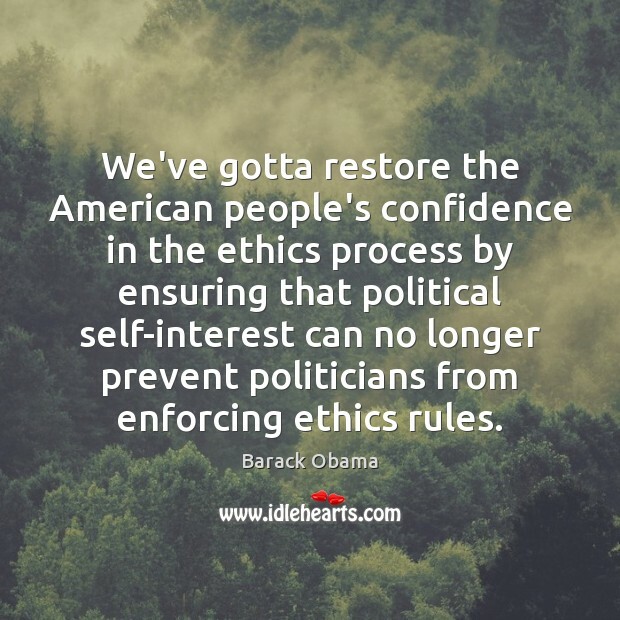 We've gotta restore the American people's confidence in the ethics process by ensuring that political self-interest can no longer prevent politicians from enforcing ethics rules. Everyone matures. When I was Newt's age, I thought I had the right answer to things. 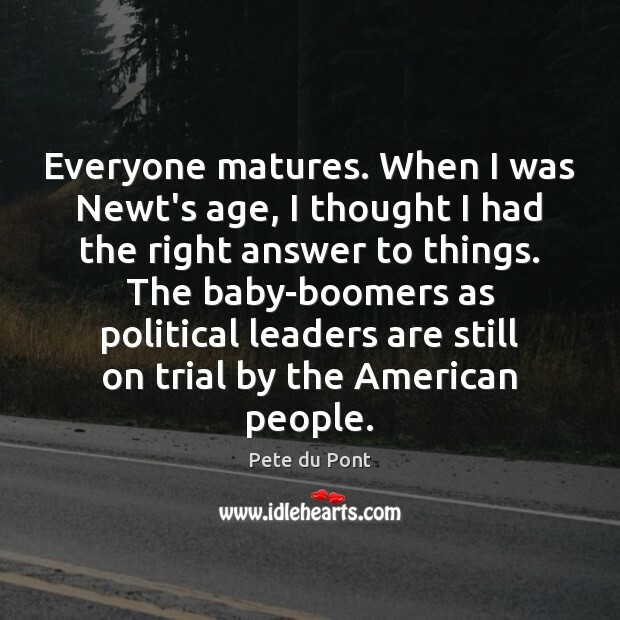 The baby-boomers as political leaders are still on trial by the American people. But people turn on their televisions. They turn on their televisions and they see what's happening in Iraq. The American people are not stupid. And the one thing they understand, they understand how incredibly mismanaged and bungled this war has been by the civilians in this administration. 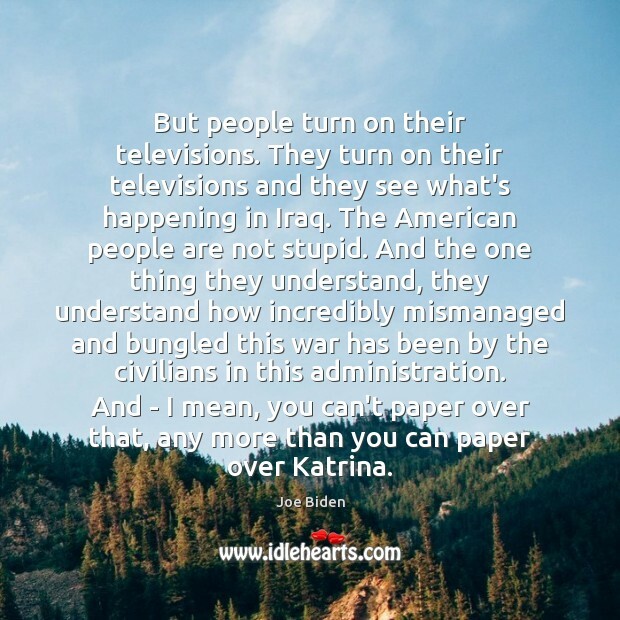 And - I mean, you can't paper over that, any more than you can paper over Katrina. 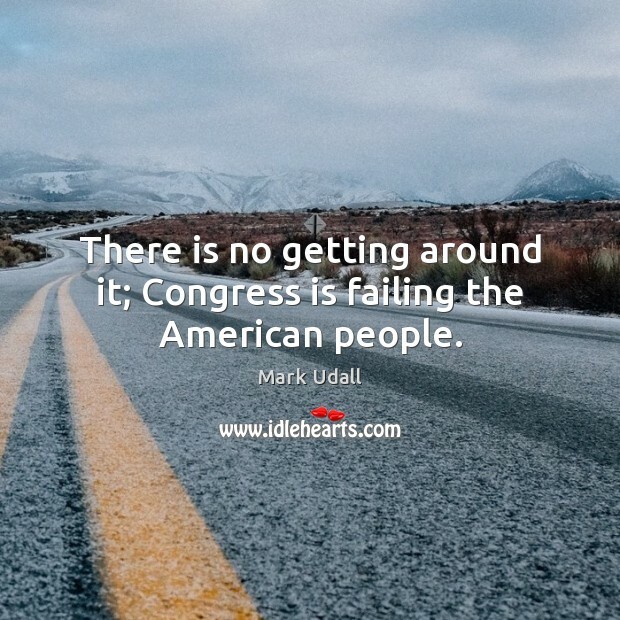 There is no getting around it; Congress is failing the American people. 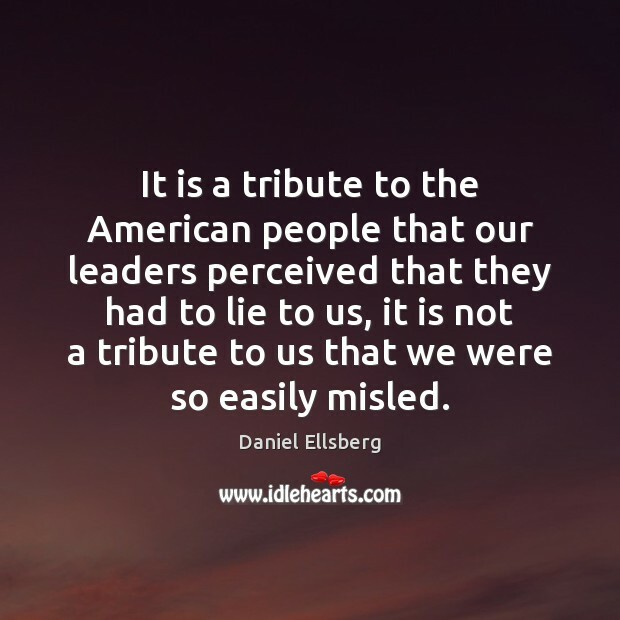 It is a tribute to the American people that our leaders perceived that they had to lie to us, it is not a tribute to us that we were so easily misled. 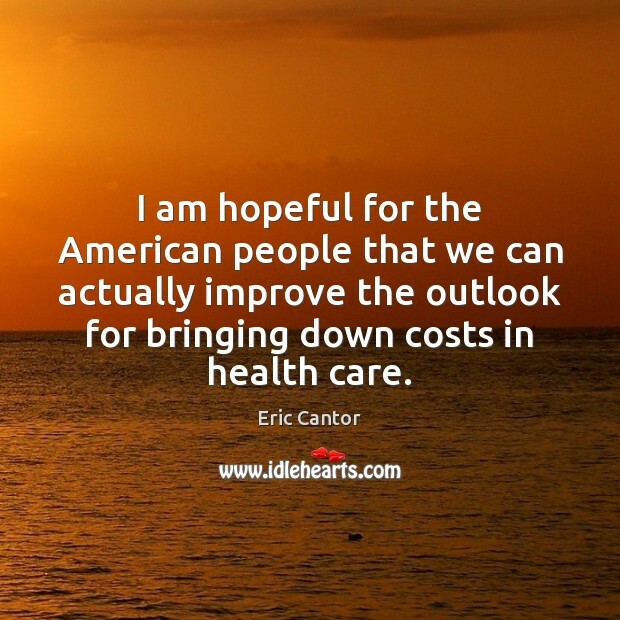 I am hopeful for the American people that we can actually improve the outlook for bringing down costs in health care.